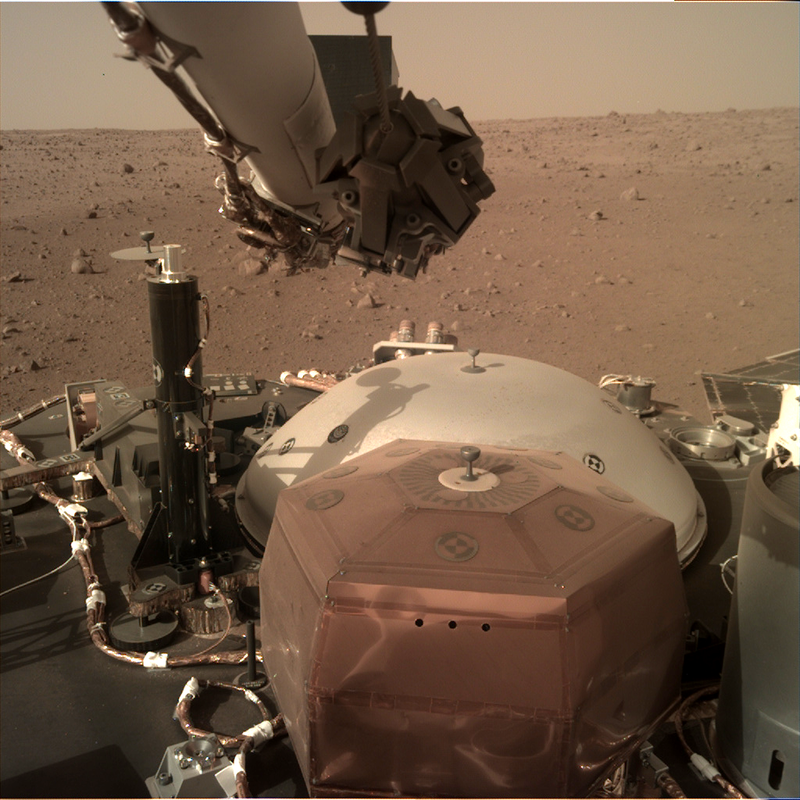 In just 8 days, that hexagonal piece of equipment installed on the InSight lander changed its general appearance from dull to shiny copper (see image 1 and 2). How is it possible? Img. 1. 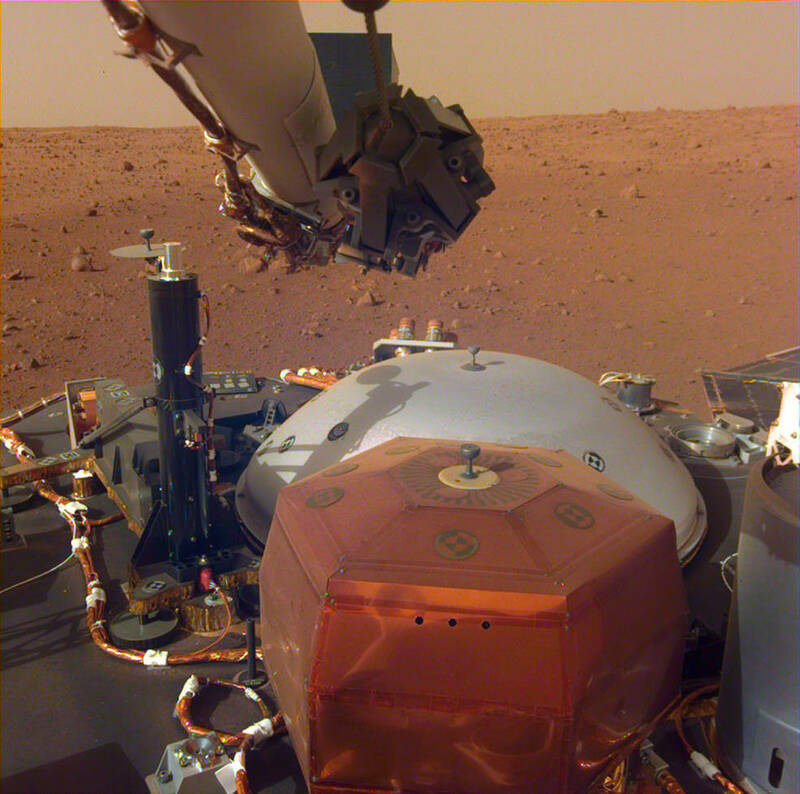 Nov 26, 2018, Mars, InSight lander. Img. 2. 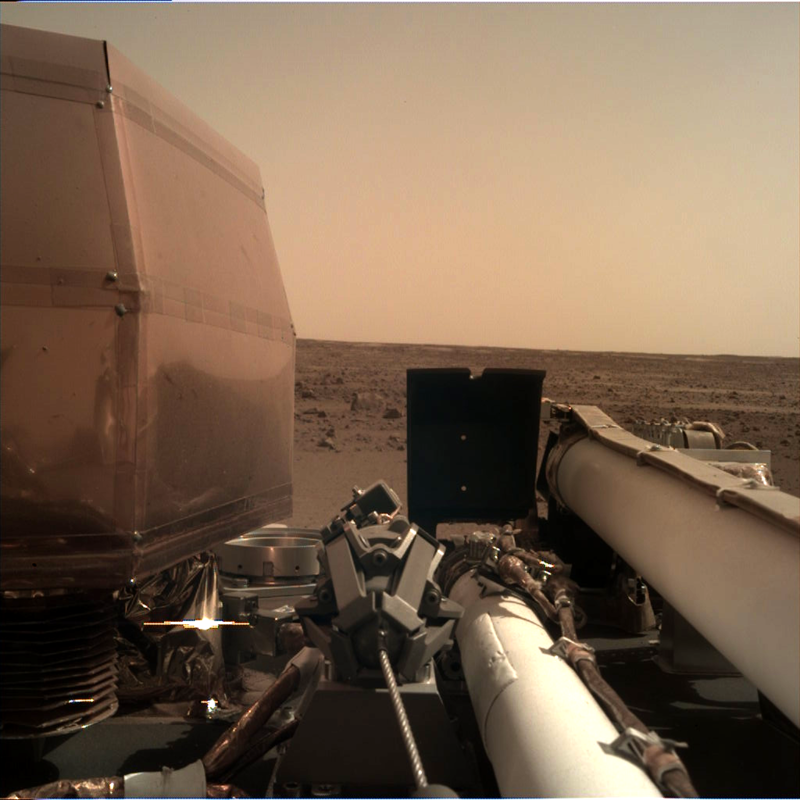 Dec 4, 2018, Mars, InSight lander. Explanation, That question with answers, that were also suggested as answers for my question, does not explain the radical change in appearance from dull to shiny cooper. I see there a discussion about an optical illusion unrelated to my question. the version you are showing has been processed -- but you didn't say where you got it. Comparing that to your second image you see the color balance of the entire image is different. It looks like your second image has been color-corrected. 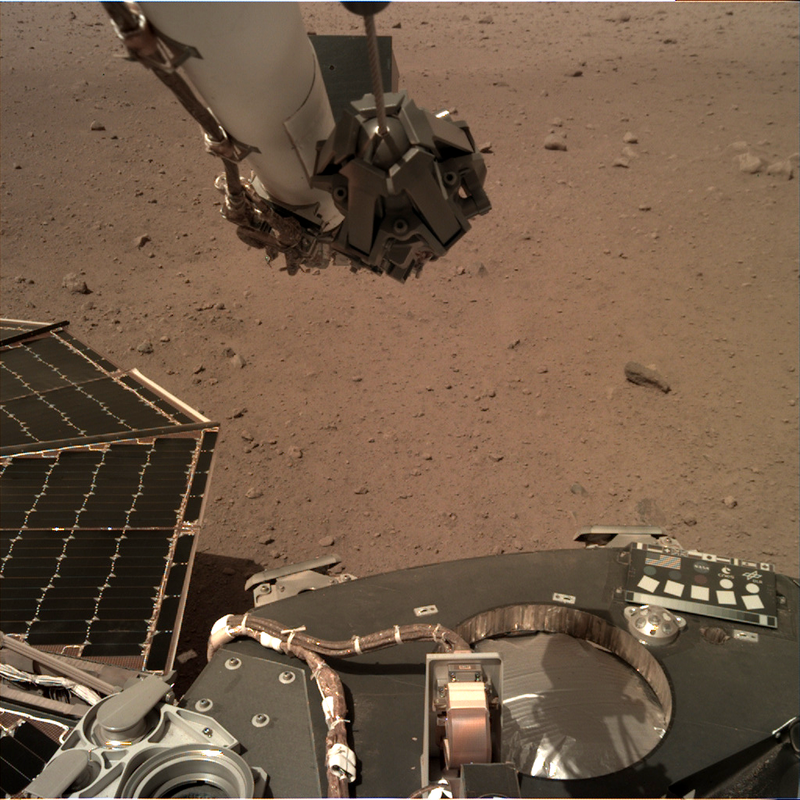 The color-calibrated picture was acquired on Dec. 4, 2018 (Sol 8). 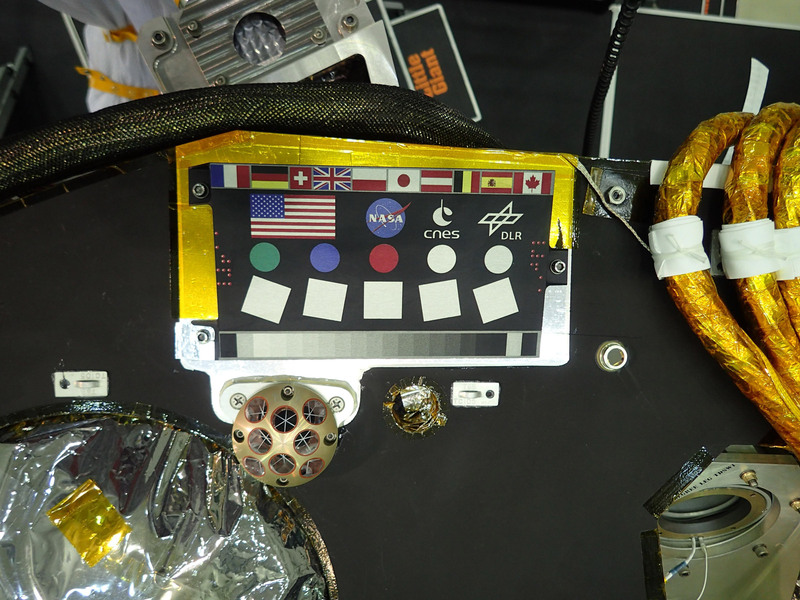 The lander contains a calibration plate (see JCRM's answer) which is used to color correct photos: we know what this object should look like, so we can apply a correction factor to make this object match its known colors. Due to Mars' different atmospheric composition, colors look different compared to Earth. This means there are different ways you can treat the same photo. 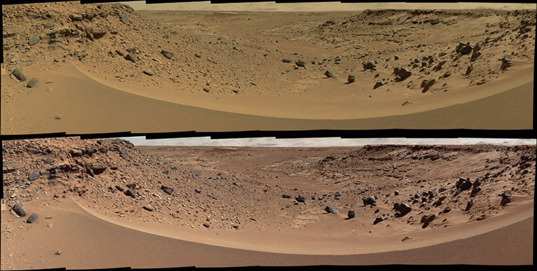 The top image shows a valley on Mars as you might see it if you were standing there. 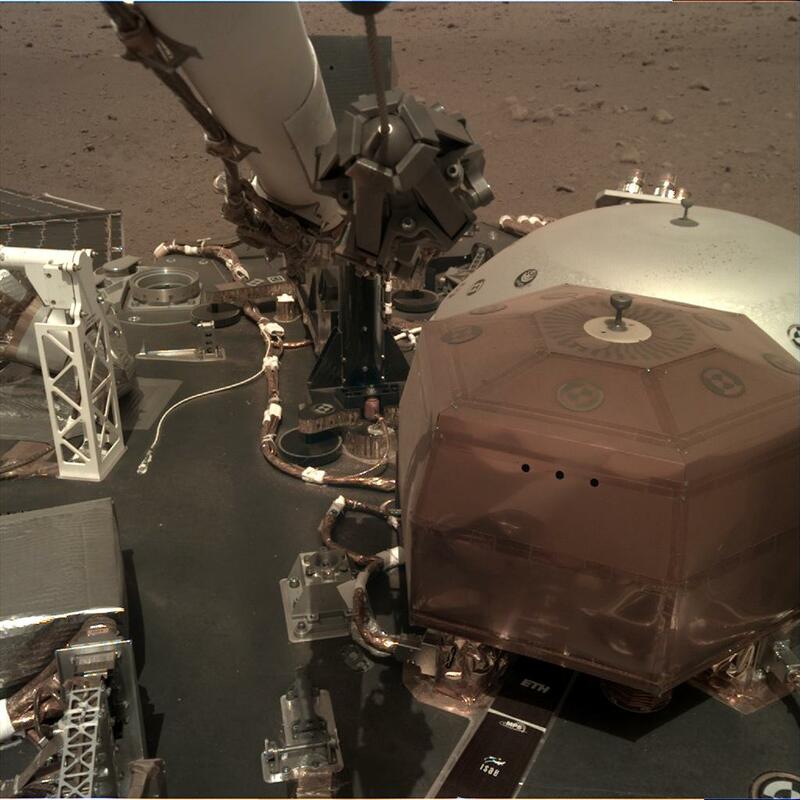 The dusty haze of the Martian atmosphere makes the ground appear browner than it really is. The bottom image is “white balance” color corrected to remove this effect and show the inherent colors of the rocks and sand. Not the answer you're looking for? Browse other questions tagged mars lander insight or ask your own question. Where will NASA's InSight land on Mars? Is it feasible to launch NASA's InSight mission Mars using a Falcon 9, instead of an Atlas V rocket?